Consistently recognized as one of Vermont's top Realtors, Brian is hailed by his clients for his negotiating skills, professionalism and deep industry knowledge. A Burlington native and a graduate of University of Vermont, Brian returned to his hometown in 1991 after living in Manhattan, where he spent a decade as a currency trader. While the activity of New York City and a busy financial career had appeal, Brian and his wife decided Burlington's family-friendly culture, lively arts scene and active outdoor lifestyle was where they wanted to raise their children. Brian's passion for success shows through as an Owner. He joined the family business upon his return to Vermont in 1991. As his grandfather was the driving force behind the insurance company, Hickok & Boardman Insurance, Inc., Brian was instrumental in growing the real-estate company now known as Coldwell Banker Hickok & Boardman Realty. Since he joined the company, it has leapfrogged over the competition to rank as Northwest Vermont's top full service real estate company. Brian's years as a currency trader helped hone skills he uses daily as a Realtor: flexibility, the ability to juggle multiple demands and negotiating expertise. He has consistently ranked as a top producer and is Burlington's top performing agent. He is known for his in-depth knowledge of Burlington's Hill Section and his knack for finding the perfect home for his clients, whether they are seeking lakefront property or a classic Burlington bungalow. His wide range of skills has also assisted many Burlington-area residents in successfully selling their homes. Brian's strengths in handling sales and purchases are revealed in his philosophy. "My goal is to make the process smoother and to have everyone happy at the closing table", he notes. 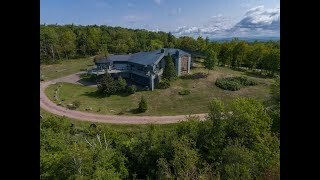 His ease in handling properties ranging from condominiums to multi-million dollar estates have helped him earn the distinction as Vermont's only 'Mega-Realtor', according to luxury real estate magazine Unique Homes. When clients work with Brian, they tap into 28+ years of real estate experience and an extensive Vermont network. Whether it's finding the right buyer or tapping a tradesperson to replace a slate roof, Brian prides himself on his accessibility and commitment to his clients' satisfaction. Brian lives with his wife and four children in Burlington. I have never met anyone more committed to helping me, and who possessed such knowledge and a practical skill set with which to do so. Relatively speaking my business offered Brian a relatively modest return, but anyone observing the service he provided would think a fortune was involved. He...went above and beyond! Brian Boardman is a knowledgeable, personable, and thoroughly professional realtor. He communicates with his clients frequently, is responsive, considerate, fair, and discrete. These traits serve his clients exceptionally well, especially during sensitive negotiations. I recommend him enthusiastically and without reservations. Thanks for getting my house sold when I needed it to happen, and mostly for being so kind during the process. I felt that you were so understanding of the difficulties that sellers feel, the array of emotions as well as the anxieties of the steps. You were such a pro in dealing with all of this. We have worked with Brian Boardman on the sale/purchase of a few previous houses. He is always knowledgeable, professional, and efficient. Brian is a true pro and we would recommend him to anyone looking to buy or sell a home in the Burlington area. brian boardman - burlington vt realtor video bio union street media produced this biographical video for burlington vermont realtor, brian boardman.